Scientology was founded in the 1950s by science fiction writer L. Ron Hubbard. According to Lawrence Wright, “the central insight of Scientology is that the being is eternal, what Hubbard terms a ‘thetan’.” For many years, public knowledge about Scientology was very limited, in part because the church maintains close control over its materials using Hubbard’s copyright. The basic materials, published by Hubbard as Dianetics, are readily available to anyone who is interested, but beyond that, it is necessary to undergo what the church calls “auditing,” and go through the myriad levels of course work, with the goal of “going clear” and progressing along the “Bridge to Total Freedom.” Wright recounts a story from director Paul Haggis—an ex-Scientologist—who says that when he was taking the Operating Thetan III (OT III) course, the materials were placed in a manila envelope, then into a locked briefcase, which was lashed to his arm, after which he had to take the materials to a locked study room in order to read them. The OT III materials eventually became publicly available during a court case in the 1980s, but the church’s policy has been to refuse to comment on the contents. In Going Clear, Wright undertakes an extensive investigation of the history of the church, from its founding in the 1950s, through the death of the founder in 1986, its recognition as a tax exempt religion in the United States in 1993, and the leadership of Hubbard’s successor, David Miscavige. In Going Clear, Wright focuses on two leaders—founder L. Ron Hubbard and his successor, David Miscavige—and two celebrity members—actor Tom Cruise and director Paul Haggis—along with a cast of supporting characters from the church’s “clergy”, the Sea Org, to give shape to his investigation. Little attention is paid to public Scientologists, the regular members who belong to neither the Celebrity Center nor the Sea Org. The informants are largely ex-members of the church, as Wright was never able to have any substantive discussions with current members. However, some of those who have left the church are schismatics, believers who still practice Scientology but do not hold with the current management of the church. Of the founder, he writes that “the many discrepancies between Hubbard’s legend and his life have overshadowed the fact that he genuinely was a fascinating man: an explorer, a best-selling author, and the founder of a worldwide religious movement.” Wright’s deep interest and careful presentation mean that this book is lacking in the melodrama some readers might have been led to expect in a book that is not being published in Britain due to libel laws there. Wright lays out plenty of horrifying evidence, but without inflammatory commentary or unnecessary showmanship. 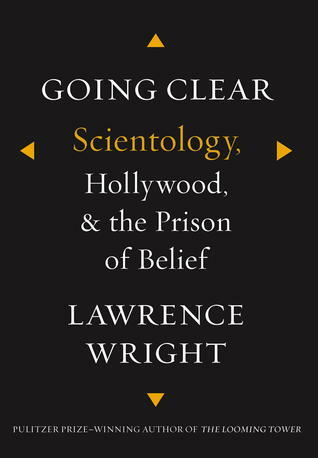 Readers who do not share Wright’s hefty level of interest in new religions generally, or Scientology specifically may not wish to embark on this long and excruciatingly detailed investigation. However, if Scientology or new religions interest you, Wright does an excellent job of contextualizing the history of the Church of Scientology.